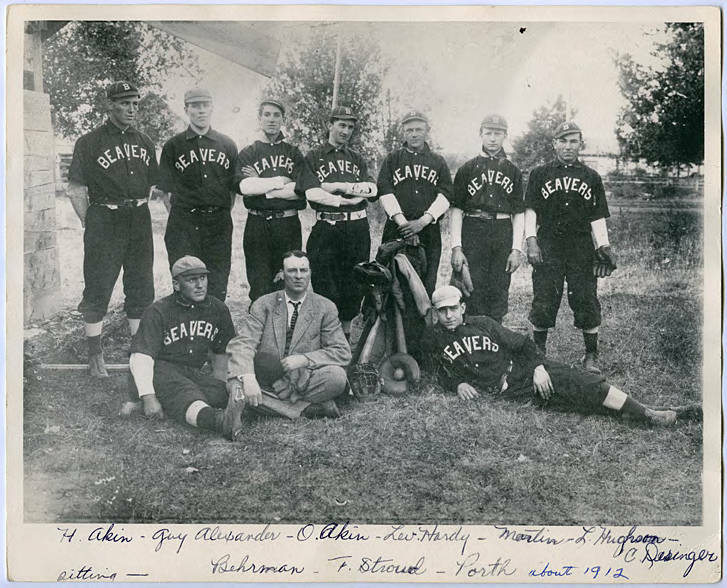 Group photo of a baseball team and their coach in Beaverton. [front] H. Akin - Guy Alexander - O. Akin - Lev. Hardy - Martin - L. Hughson - C. Designer, Sitting - Behrman - F. Stroud - Porth, about 1912.